Finishing with high honors was sophomore Clay Ream who was this year’s recipient of the Elite 90 Award. This award is presented to a student-athlete who excels both in the classroom as well as in their sport. While this wasn’t an initial goal for the 149-pounder, it was almost a given with his 4.0 in molecular biology. Due to the levels of dedication and extreme work ethic in anything Ream chooses to pursue, it is evident that he is deserving of this award. While busy dedicating time to both the student and athlete aspects of his life, he says that he knows how to distribute his limited time. With plans of heading to medical school after his wrestling career at North Dakota State wraps up, he aspires to be a trauma surgeon. “I knew I had to keep my GPA extremely high if I was going to make it into med school, and so in my attempt to make it into med school, the award came with it,” Ream said. In a tournament where Ream was awarded for his academics, he was also recognized for ending his season with a record of 1-2 in his second ever NCAA Tournament. This season, Ream went 22-17, while also placing third at the Big 12 Championships earlier this March. Other standouts in the tournament included Josh Rodriguez and Hayden Zillmer who have been consistent throughout the entire season. Finishing their seasons with slightly different views, both athletes look towards their futures—both of which are filled with more wrestling. For senior Zillmer, he took a heartbreaking loss in his second match and dropped an overtime decision in the third round that ended his season and his career as a Bison. 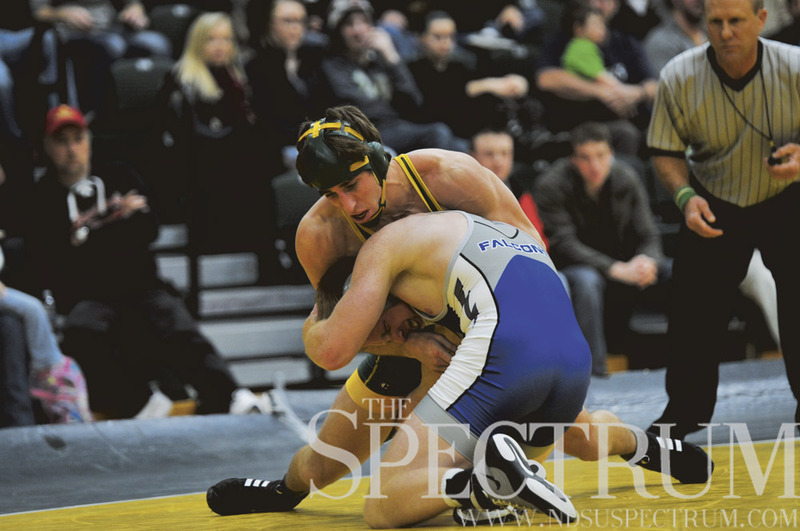 He finished with an overall record of 105-29 which puts him at seventh in the NDSU wrestling record books for wins. However, it won’t be long before he is back to wrestling again. Greco-Roman is a type of wrestling that is practiced worldwide. Though junior Josh Rodriguez is happy with the season he just completed ending with a record of 3-2 in this years NCAA Tournament his final offseason will be dedicated to perfecting his wrestling style in hopes of completing one final goal next year. “Ultimately the goal is to be a national champion so I’m just going to keep that in mind and keep working for that,” Rodriquez said. While there is still plenty of time in between Rodriguez and his final match as a Bison, older teammates such as Zillmer have given him plenty of advice. “Just warning us that it goes fast and not to take anything for granted. Work hard and leave it all on the mat,” Rodriquez said about older teammates advice. While losing Zillmer will be a tough hit for next year’s squad, remaining talent such as Ream and Rodriguez hope to continue the Bison winning ways.